Home / Health / What is Squalene? Squalene is a natural substance most commonly known as fish oil and shark liver oil when put in supplement form. However, many people don't realize this substance is actually in our bloodstream, originating in the liver. In addition to its uses in cosmetics and over-the-counter medications, squalene is also used as a health supplement for cancer and heart health and an additive in some vaccines. Though they look promising, the benefits of squalene have yet to stand the test of time and further scientific testing. Squalene oil contains elements that enhance an individual's immune system response. According to the American Cancer Society, this supplement contains alkylglycerols, which some researchers have claimed can fight off colds, viruses and infections. Other conditions, such as arthritis, asthma and psoriasis, may also be alleviated by squalene oil supplements. Additionally, the macrophages in squalene oil are promoted for their ability to help wounds heal faster. Though squalene oil is widely marketed for these uses, these particular health benefits have not yet been verified in a controlled clinical trial. Starting in 1997, squalene has been added to some flu vaccines, says the World Health Organization. Each dose of the original FLUAD and Chriron flu vaccines contained about 10 mg of squalene. Recently, researchers have also been experimenting with squalene for other vaccines, including the pandemic flu and malaria vaccines. Squalene has been linked to an enhanced immune system response when used in some vaccines. The American Cancer Society explains that squalene oil is often linked to anti-cancer treatments. In certain studies, the supplement slowed the growth of blood vessels in a cancerous tumor. Medline Plus links these positive effects to several types of cancer, including prostate, colon and breast cancer. Because of these findings, some patients take squalene oil either alone or with chemotherapy in order to treat their cancer. Since squalene is also believed to have the ability to protect cells, it is suggested as a supplement for reducing some of chemotherapy's unpleasant side effects. Medline Plus asserts that although cancer patients often take squalene during treatment, the number of randomized controlled trials in this area are insufficient for conclusive evidence. Although some of its other benefits are not scientifically proven yet, squalene oil is strongly linked to heart health. 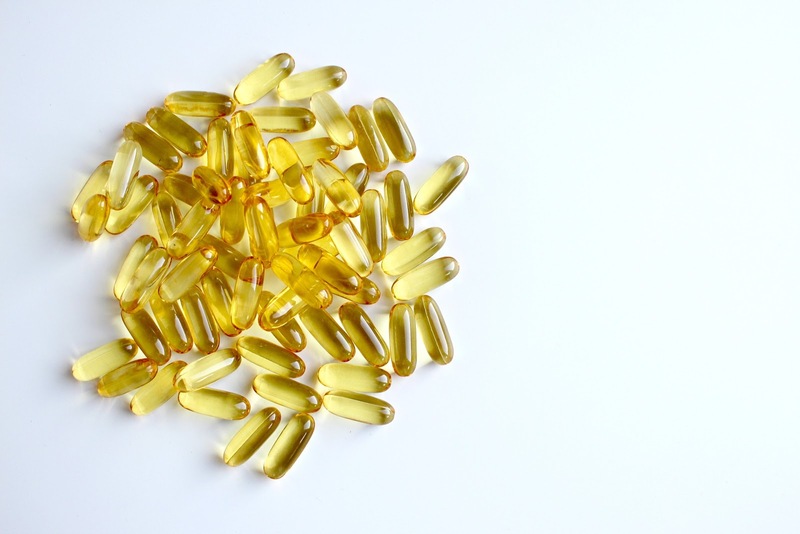 Backed by several extensive studies, fish oil has been shown to reduce the risk of heart attacks, says Medline Plus. The December 2006 issue of "Public Health Nutrition" reports that fats such as squalene reduce the risk of high blood pressure and irregular heart rhythms.